TORONTO, May 3, 2016 /CNW/ - Veritas, a newly-minted Canadian journalism foundation that creates and supports professional development for journalists in Canada, today announces its plans for an international conference to be held at Ryerson University in Toronto May 14-15. "There's never been a time when probing, accountability journalism has been more needed and more at risk," said Robert Cribb, president of Veritas – Advancing Journalism in the Public Interest. "The Panama Papers work also reminds us that there is more potential for impact today than ever before. This conference brings together some of the most gifted investigative journalists in North America for two days of wisdom and inspiration." The Journalism Across Borders conference is presented in collaboration with Investigative Reporters and Editors (IRE).The conference, to be held at Ryerson University's School of Journalism, is designed for reporters, editors and producers from newspapers, TV, radio stations and web news services. It will present workshops and panel discussions on a broad variety of topics including: investigative interviewing techniques, audio storytelling, cross-border investigations, computer-assisted reporting workshops, backgrounding companies, web scraping and advanced web searching techniques. 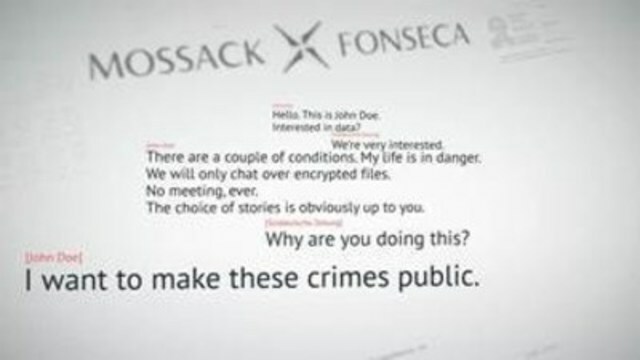 The program will culminate with a review of the Panama Papers process from a number of journalists deeply involved in it, including Veritas president Cribb. Veritas – Advancing Journalism in the Public Interest (veritasjournalism.org) is a charitable non-profit corporation focusing on public education and journalistic professional development. IRE (ire.org) is a grass roots non-profit organization dedicated to improving the quality of investigative reporting and is housed at the Missouri School of Journalism in Columbia Missouri. Sponsors for Investigative Journalism Across Borders are: The Toronto Star, Global News 16x9, CBC News, CTV News, the Walrus Foundation, Google, The Working Group, Ryerson University School of Journalism and the University of King's College School of Journalism.